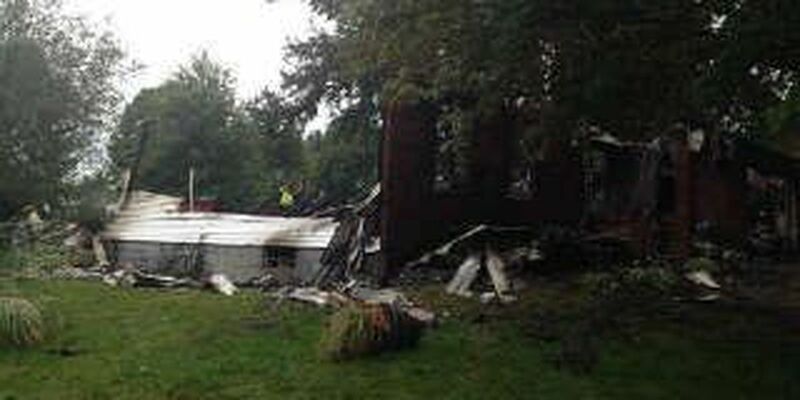 STARK COUNTY, OH (WOIO) - The home of one Greentown family was reduced to a smoldering rubble this morning. The fire that started at their Donner Street NW home around 1 a.m. destroyed everything, including their cars. Neighbors explain how they could have lost even more. "I looked outside and saw flames pouring from my neighbors house across the street," said Alana Neimic, a neighbor. Neimic said the parents and their two sons made it out the house, but they were panicked when they didn't see their 10-year-old daughter. "The family was in absolute shock and their only concern was to find Zoe," Neimic said. "We had fire coming out of every door," said Captain Mark Jackson with Greentown Fire. Captain Jackson said when his crews arrived they had to first control the intense flames before they could even attempt to find the girl inside. Then came a call from police. "Said they found the girl walking her dog," said Jackson. The shopping plaza where police say they found the girl walking her dog is about three miles from her house, and a 46 minute walk. Police say she told them she was looking for help for her family. "She was not covered in soot like the rest of the family and from my understanding from what I've been told is that she was the first one to wake up," Neimic said. Investigators are working to find what caused the fire, but both officials and neighbors are thankful for the outcome.